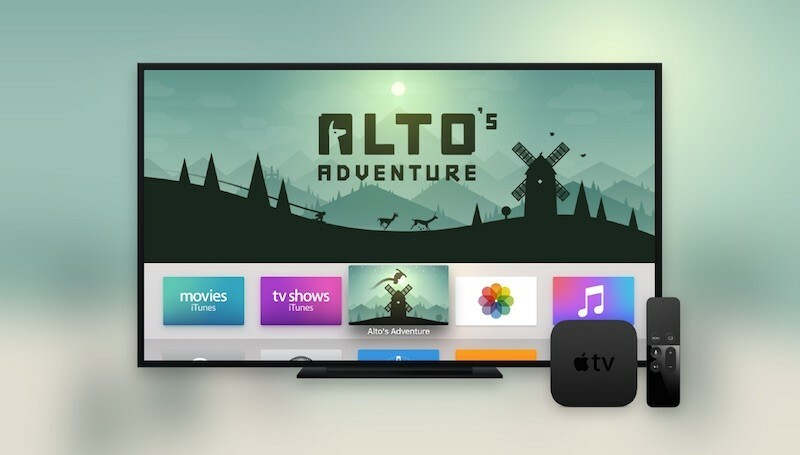 With customers around the world beginning to receive their new Apple TVs over the coming days, developers have been busy readying the first apps and games for the set-top box. Below, we have rounded up some of the more interesting tvOS apps that are or will be available through the App Store on the new Apple TV. Some apps are still under review and may not be available immediately at launch. Airbnb, a website for people to list, find and rent lodging in 190 countries, ranging from a New York City studio apartment to a Tokyo penthouse, has developed an app for the new Apple TV that lets travelers swipe through destinations and lodging choices using the Siri Remote. 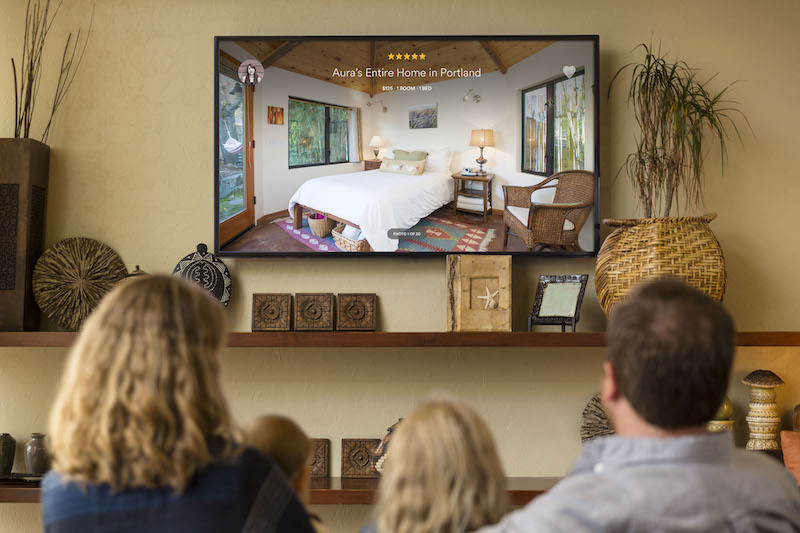 Airbnb for Apple TV focuses on immersive pictures with limited text. Listings can be synced with iPhone and iPad. Snowman has announced that Alto's Adventure, a beautiful endless runner snowboarding game featuring physics-based gameplay, procedurally generated terrain, fully dynamic lighting and weather effects, six unique snowboarders and more, will be available on the new Apple TV shortly following its launch. The game can be played with a Siri Remote or a third-party controller, and universally supports the iPhone, iPad and Apple TV for $2.99 on the App Store with iCloud syncing. Hipster Whale has brought its endless arcade hopper Crossy Road, an Apple Design Award Winner at WWDC 2015, to the new Apple TV. Choose from characters such as Chicken, Mallard, Emo Goose and Giddy Goat, and use the Siri Remote touchpad to dodge cars, leap across logs and jump past fast-moving trains. The popular game is also available on iTunes for iPhone, iPad, Android and Windows Phone. Mr Jump is a popular platformer runner game where you guide a hero named Mr. Jump as he jumps his way through several increasingly challenging levels in multiple worlds. The new Apple TV version of the game requires the Siri Remote to control your character. Mr Jump is free on the App Store with in-app purchases available. Ookla has developed a version of its popular Speedtest tool for the new Apple TV, allowing users to test their Wi-Fi network's download and upload speeds from their TV set. The app has a simplistic design that displays your internet service provider alongside a scrollable list of servers to choose from. Ookla plans on adopting a similar design for its iOS and Android apps in 2016. Plex has confirmed that it will be releasing its media player software for the new Apple TV so that users can access all of their video, music, TV and photo collections on the big screen. 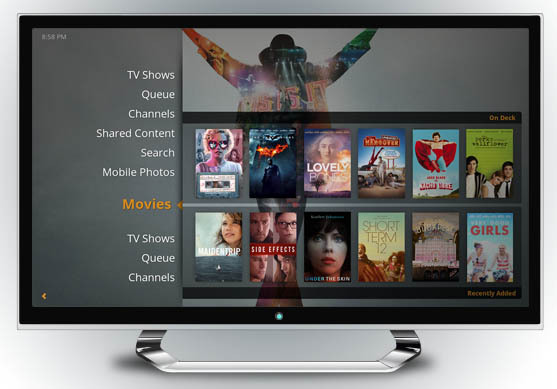 The app will be free, but with a Plex Pass subscription customers will have access to all premium features, including premium music, parental controls and more. Plex is also free on the App Store for iPhone and iPad. SketchParty TV is a multiplayer party game that involves one team attempting to guess what another team is sketching. The game pairs directly with SketchParty TV for iPhone or iPad via Wi-Fi. SketchParty TV should be available for the new Apple TV shortly following its launch. The iPhone and iPad version is $6.99 on the App Store. Smule has introduced a new game for Apple TV called Sing! Karaoke that transforms your TV screen into a karaoke machine. The social singing app is designed specifically for the new Apple TV and features over 100,000 songs to choose from, several partner artists like Jessie J and Jason Derulo, the ability to use an iPhone as a microphone and more. Sing! Karaoke is free on the App Store, with in-app purchases available, and universally supports the new Apple TV, iPhone and iPad. German indie app developer Arno Appenzeller has created Ticker, a personal news channel app for the new Apple TV that lets you search for and subscribe to several news feeds and have headlines displayed in a scrollable ticker. The view is highly customizable, with the choice of three backgrounds that feature cities, sights and patterns. Appenzeller plans to release Ticker on the tvOS App Store a few weeks after the new Apple TV launches. Withings has announced a companion Apple TV app for its Home video monitor and air quality sensor. The app features an HD video stream with a 130° wide angle view, 12x zoom and high-quality infrared night vision, access to real-time video feeds and air quality feedback on the TV, a multi-cam view of up to 4 cameras at a single time and more. The app is free on the App Store and will universally support Apple TV, iPhone, iPad and Apple Watch. 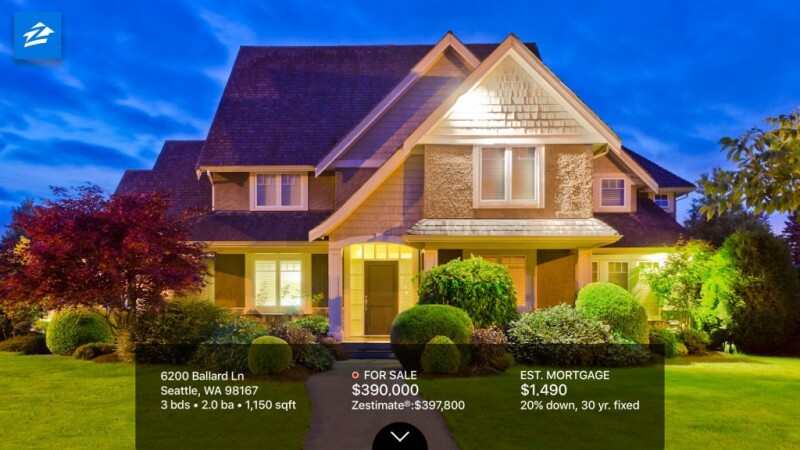 Zillow for Apple TV features listings of homes for sale nearby with hi-def images, video content and other detailed information, including the home's number of bedrooms and bathrooms, square footage, address, sale price and estimated mortgage cost. Swipe right on the Siri Remote to save a home listing for later viewing on Apple TV, Mac, iPhone, iPad or Apple Watch. Stop calling it a "set top box". There aren't any television sets that you can put these things on top of. You haven't seen just what I can do with duct tape. Alto's Adventure will be fun on the big screen. $279 Australian for what? Until there are a million apps on this it isn't worth it, you can buy a new iPod touch and TV cable for less. Didn't you post this exact same post when the iPod came out? Can anyone advise me if in the uk there will be catchup tv and freeview tv app coming to the new Apple tv. ITV have, apparently said "no plans" (but that's what BBC said a month ago) and no news on C4/C5. Live Freeview via. DVB seems unlikely - it would need hardware and drivers (and I doubt Apps can include drivers), plus even 'Pause live TV' would probably need more storage than the AppleTV has, so there's not much point. The integrated "Freeview Play" and "YouView" services (which show that its perfectly possible to integrate all the catch-up services) seem to be tied to hardware makers at the moment. Maybe the prospect of being able to sell a Freeview Play or YouView app on a secure platform like the ATV will tempt them into releasing an App but I wouldn't hold your breath. At least Hipster Whale has an appropriate name.....take something old (Frogger) and pass it off as new and original. But you and I didnt do it though did we? I don't need sling, I am boycotting Hulu for charging for premium and still showing commercials (I know they off commercial free now), but agree with the rest. I have a hard time with $29 for a single season of a TV series still, and will wait until those become more reasonable. I recently tried CBS (or one of them which just became available on Apple TV) and could not deal with the commercials which I haven't watched in years - so it got the "don't show" treatment. Well actually, Space Invaders and Pac Man were new. Well actually no, way before Space Invaders I was playing "space shooter" games on text monitors that displayed 24x80 screens. And there was one called "worms" that ran on our mini on a adm3 monitor before pack man, which was basically the same game without walls. It's all built on what went before. WoW and ESO are descendants of a game called Colossal Cave that was a text only RPG that ran only on mini's and mainframes originally.